We would like to thank those residents who appreciate the value that the Stonebridge Property Owners Association brings to our neighborhood. As a member of the SPOA you HAVE A VOICE, so join today. The many devoted people involved in SPOA activities are volunteers who are making a difference. 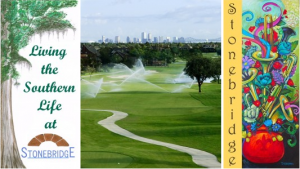 We could use your help to maintain Stonebridge as a desirable place to live. We would love to see your face in our next group photo. Membership dues are $40.00 per year per property, and are mandatory for all residents.